By selling goods online you could make yourself some extra money each month or you could even build yourself a new career – and largely from the comfort of your own home. All you need is an idea of what you’ll sell online, a computer and a broadband connection. You can sell online a number of ways, for example through an auction site, through a retail site or even through your own website. It’s possible to make money online with very little outlay from you. These days when people want to buy something they will often go online to look for it first. According to a survey by USwitch last year, in the UK we spend £40 billion online every year and it’s predicted that by 2020 online sales will hit £162 billion. Many people enjoy the convenience of selling through online auction sites such as eBay. Everything is already set up and all that needs to be done is to upload pictures and write a description. Sellers using online auction sites usually pay a small fee to sell their items. Online selling isn’t limited to auction sites such as Amazon or Etsy, for example. Through Amazon you can sell second-hand books, DVDs and CDs and through Etsy you can sell all manner of goods as long as they are handmade. This illustrates the diversity of sites out there. Whatever you want to sell there is likely to be a website devoted to it. On some sites you may be offered a sale or return policy or the online seller may buy the goods outright. On other sites you will manage your own small shop and you will receive all the profits less a small site usage fee. Once you get going you may find it beneficial to sell through your own website and this is when you can really start to build an online brand and grow your business. Selling through your own website doesn’t have to be complicated. It is best to get a professional designer to work on the site but it can be as simple as your like. There is plenty of online selling and payment software available which is simple to use and easy to install. If you decide to sell through your own website, rather than through an established site you’ll need to do some marketing so that people know your website exists. Internet marketing is big business these days but if you do a little research you don’t necessarily need to pay anyone for online marketing services, especially in the early days of you selling online. Take the best photos that you possibly can. Make customer service and prompt delivery a high priority. Find out your tax situation – you will probably have to pay tax on what you make. However, if you’re selling your old clothes and books on eBay you probably won’t have to pay tax because you didn’t buy them with the specific idea of selling them on in mind. 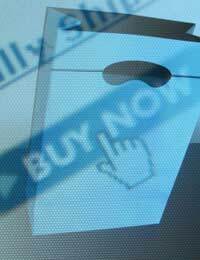 Know the legal implications of selling online – for example the EU Distance Selling Directive.